I recently had the pleasure of visiting a magical beautiful place…Naples. I have been in Naples Italy before but this time it was Naples in sunny Florida! The beauty of shopping,drinking and browsing on 5th Avenue South! Bob Baker Shoes is the most unique SHOE and accessory store I have ever seen! T Michaels for fine dining! If you ever are out that way…it is so clean and beautiful and the gulf is at your feet. 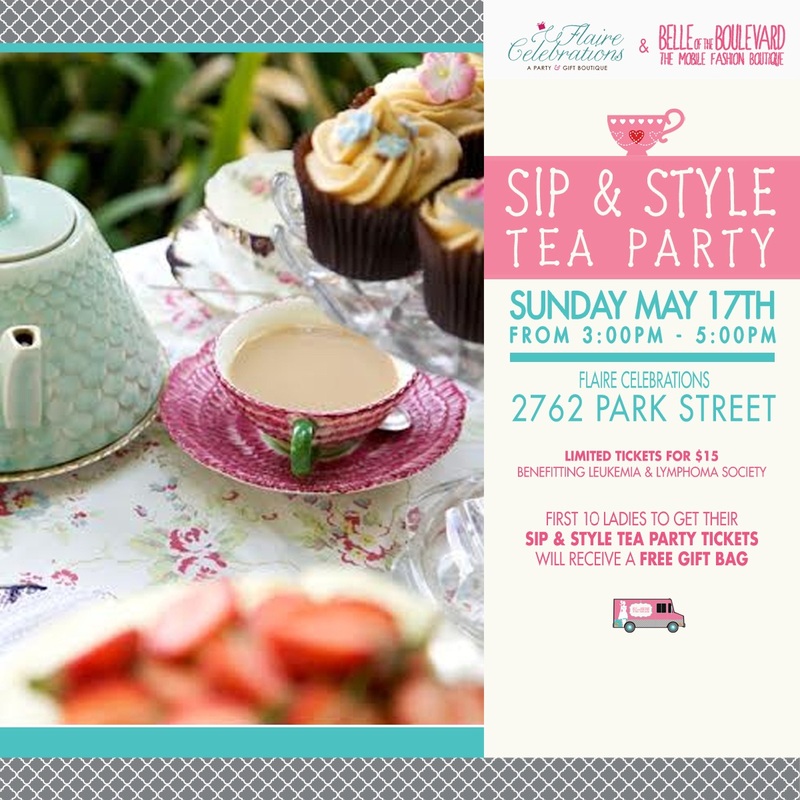 TEA For a Beautiful Cause…Ladies of Jacksonville,Florida! I truly LOVE the way it feels when I donate my time and bodacious giveaways for a great cause. Don’t you love that GIVING feeling too? Doing good feels awesome.This event is not exception.I hope you will join me and some like minded business owners like me. As you know I am crazy for food trucks! So, a fashion truck really kicks it up a notch. My fave local fashion truck is called Belle of the Blvd! I have found some amazing on the cheap chic treats to add to my wardrobe… Alongside my pricey wardrobe. And the truck is PINK! You know how much I love pink by now. The fashionable yummy TEA is hosted by Flaire Celebrations an event and gift shop. There will be other vendors with other fun services. EventBrite is where you will buy your tickets. They are going fast.So, please think about joining us and get your ticket for food,a fashion show and fun!! !